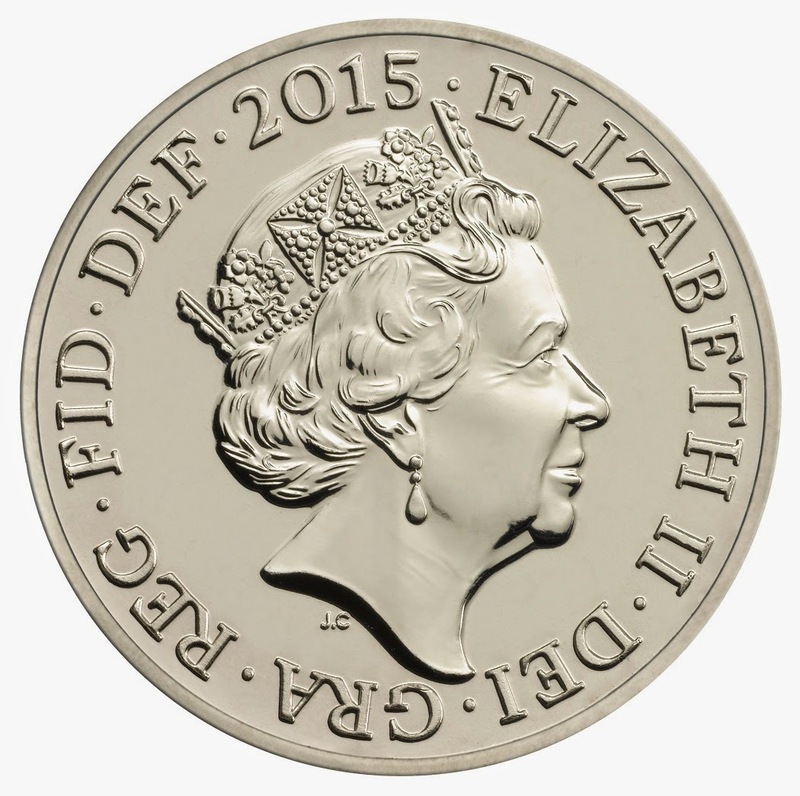 Yesterday, the U.K.'s Royal Mint unveiled its fifth coin portrait of Queen Elizabeth II. 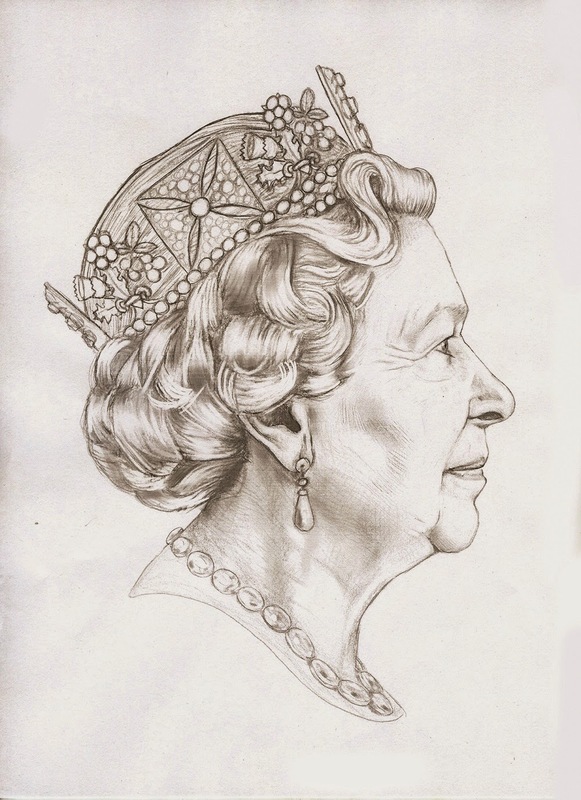 Now aged 88 and in the 64th year of her reign, it has been 17 years since the Queen's last coin portrait. What is a coin portrait? It's the picture of the monarch on all British coinage — the "head" side of the coins. Some countries, like the United States, have various people (e.g., Presidents) as the portrait on their coins, while monarchies tend to feature their king or queen. Putting a ruler's head on coins is a practice going back thousands of years. Coin experts and historians study the images on coins for clues about the reigns of rulers, propaganda uses, artistic styles, and so on. Moreover, finding a coin in an archeological dig often helps pinpoint the age of the items with which it's found. I'm no numismatist, but I do enjoy looking at coins and paper currency for the images they employ. I peruse the currency of whatever country we're visiting. In the United Kingdom, each bank — whether the Bank of England, Royal Bank of Scotland, Clydesdale Bank, etc. — chooses the images for the paper currency, providing a broad range of historical portraits, architecture, World Heritage sites, and sundry other subjects. The second, third, and fourth coin portraits of Queen Elizabeth II. Coins continue in circulation until they receive too much wear and tear. Generally, coins last 20 to 25 years. At that point, the Royal Mint withdraws the battered coins from circulation and recycles them for future coinage. Some coins, however, last longer. The coins with the Queen's second portrait were struck between 1968 and 1984, which means the leftmost coin in my hand (above) is at least 30 years old. That second coin portrait is still the portrait used as the "definitive" (i.e., generally used) stamp for mail in the United Kingdom. On the stamps, the image is reversed/flipped from the coin portrait, and it has some other minor changes. Although the Royal Mail has tried several times to update the stamp image, the Queen herself has rejected any changes. So while she has consented to three further portraits for the coinage, she has maintained the use of the second portrait for the mail. Given its 48 years of use in the U.K. since 1967 (slightly before introduction of the coin portrait), as well as the image's frequent use in various Commonwealth countries, the second portrait quite possibly is the most-reproduced image in the history of the world. These four coin portraits, however, are not the only ones of Queen Elizabeth II. 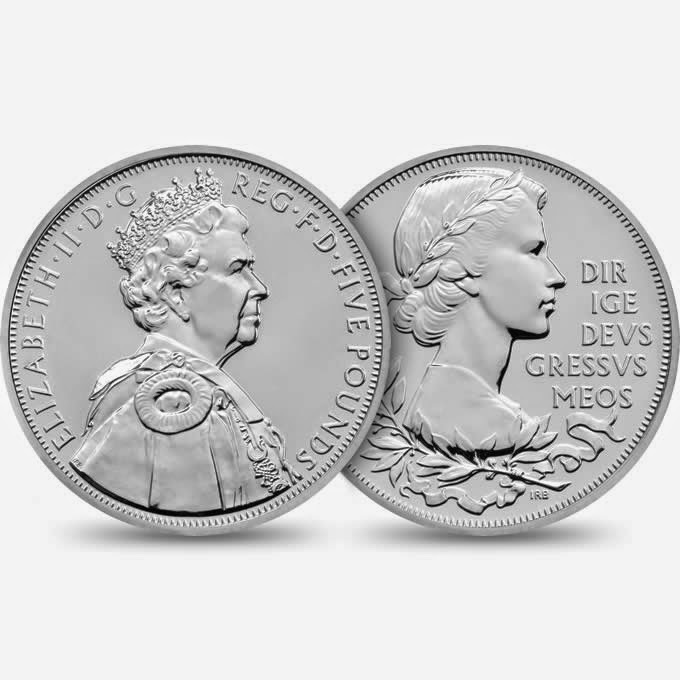 For her Diamond Jubilee, celebrating her 60th year on the throne, the Royal Mint struck a commemorative coin with not one, but two, images of the Queen. One image harked back to her first coin, while the other image presented her contemporary age. A double heads coin! (Heads, I win; tails, you lose.) These coins were not in general circulation. Queen Elizabeth's official fifth coin portrait, unveiled yesterday, is the first coin portrait created entirely digitally. The new portraitist, Jody Clark, is 33 years old. He has never met the Queen. The royal palace provided specially-lit photographs for engravers to make their portraits, and the Royal Mint selected its favorite of the entries. Clark first drew an initial sketch and then, using computer software, created a low-relief model. The Queen ultimately gave her approval for the new portrait. For this fifth portrait, the Mint first invited eight portraitists to submit entries, and then winnowed the pool to three finalists. Clark is the first Royal Mint engraver to have been chosen for an official coin portrait in more than 100 years. Previous portraitists had been from outside the Mint. Queen Elizabeth II's fifth coin portrait. 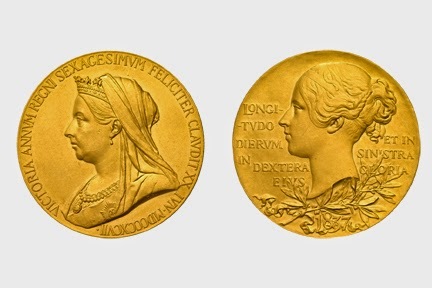 (Image by Royal Mint) Note that the "J.C" on the coin is the initials of the portraitist, just as previous coins have the initials of their portraitists. One other point of interest. Notice that in all five portraits, the Queen faces to the right. Following a tradition dating back to the 1600s, the image of a British monarch always faces in the opposite direction from the monarch who preceded him/her. Thus, her son Charles, the Prince of Wales (or, as he's called here in Scotland, the Duke of Rothesay), will have his coin portrait(s) facing to the left; his son, William, will have his facing to the right; and his son, George, to the left; and so on. Some argue this tradition traces back to King Charles II, who reestablished the monarchy in 1660 following the Interregnum of parliamentary rule provided by Oliver Cromwell. The new king, seeking to "turn his back" on Cromwell, made his image face the opposite direction. Since then, successive monarchs have faced alternate directions from the king/queen they followed. The Royal Mint's museum suggests this explanation is too facile and says the reasons for the tradition likely have been forgotten. Although the Royal Mint has already begun to strike the new coins, the coinage will not immediately enter circulation. First, all the coins that have the fourth portrait, but which have not yet been sent out into circulation, will be used first. Then, the newly-struck coins featuring the fifth portrait will be issued, generally to banks first. When will the new coins make their first appearance? The Royal Mint won't say. It'll be sometime this year, probably reasonably soon. I have one of the fifth coin portraits and im wandering how it got to the U.S.